What a naughty blogger I have been of late. The truth is I've been outside making the most of the sunshine and 'doing stuff'! Tidying, painting, weeding, painting, sweeping and painting. Oh, did I mention painting? I'm slowly transforming our little garden into an oasis of colour. We're making a couple of lifestyle tweaks which are preoccupying me at the moment so being busy outside has been very therapeutic. So saying, I have managed a little gentle creativity this week inspired by Julia Crossland's 'Being Creative' project. This month's theme is, rather appropriately, 'Garden'. "Just living is not enough ... one must have sunshine, freedom and a little flower." Do take a peek at the other creative contributions, they're fabulous. Lovely pic - you clever thing! Loving the blue fence - very summery! Such a gorgeous post - I sooo love the colours you're using and the fabrics are some of my most favourites! Really lovely pink spotty bunting too against the blue!! Enjoy the rest of your flowery week! Oh I love the blue fence with the bunting. I had to paint my green which is very boring but did think I might stamp some daisys on one panel when G's not looking lol.. just have to make sure there is no green paint left first so he can't paint over them!! Brilliant textile picture Heather, such gorgeous happy colours and fabrics, it looks gorgeous all framed up too. Love what you are doing to your garden too, that blue is very, very uplifting! 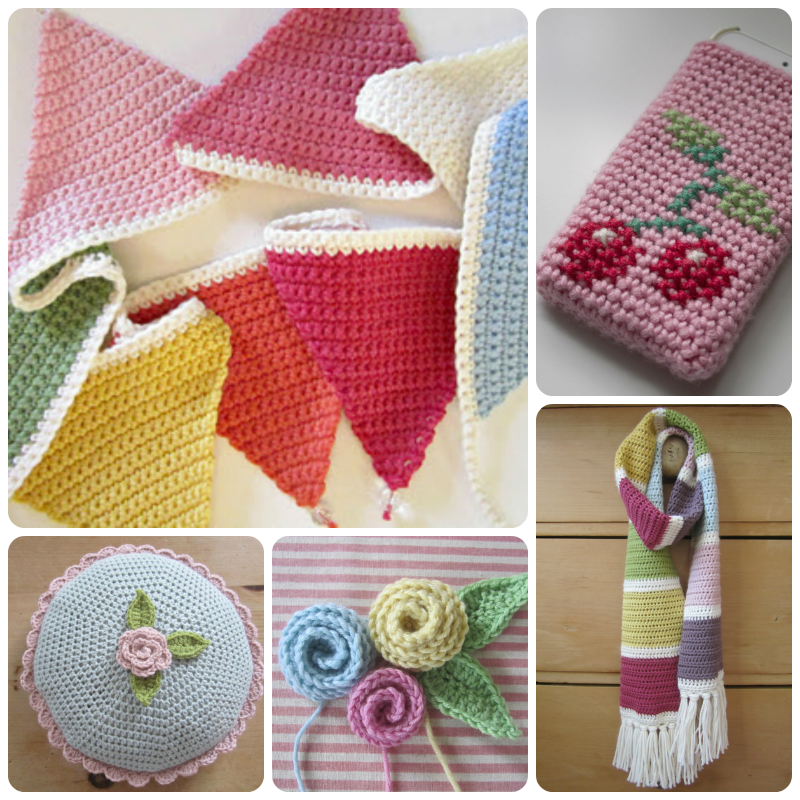 Thank you for sharing your work, and for taking part in the group, its lovely to have you! I want your fence! Love that blue with the bunting. Lovely. Oh your fence looks gorgeous! Love your pretty flower picture to! Very springlike! The quote is spot on! Your little garden area looks inviting. 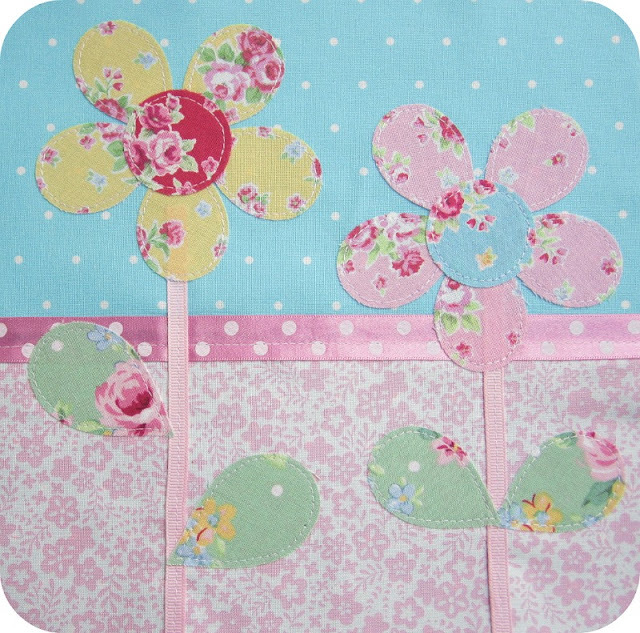 I love the fabric flowers. They look very happy and spring like. Love the fence! I painted our trellis that colour and went dark blue for sheds. 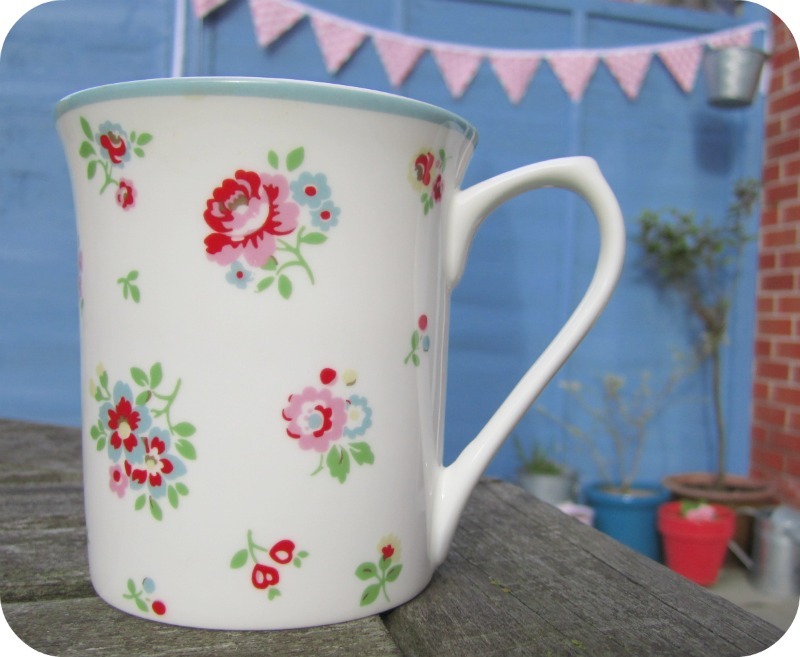 Brings vibrance to a garden, especially with bright bunting! Have a lovely Thursday Heather! love your garden..it looks so pretty ! Lovely photos, totally agree with the HCA comment! I have passed on a blog award to you - pop by my blog to pick it up! OOhh you have been busy!!! 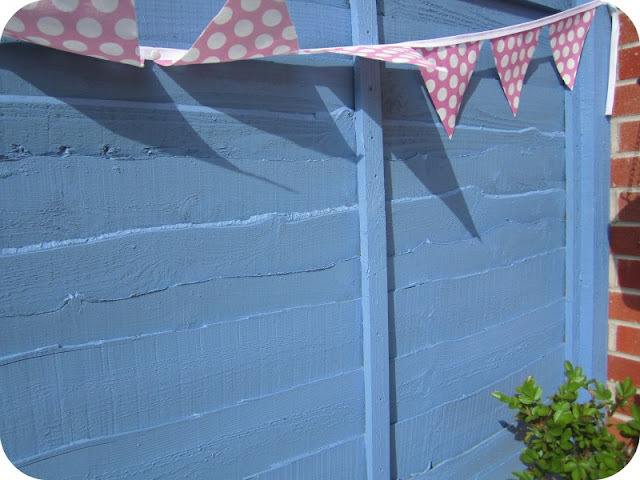 Love that blue on the fence, it must make you smile every time you see it!With the pretty pink bunting its so summery! 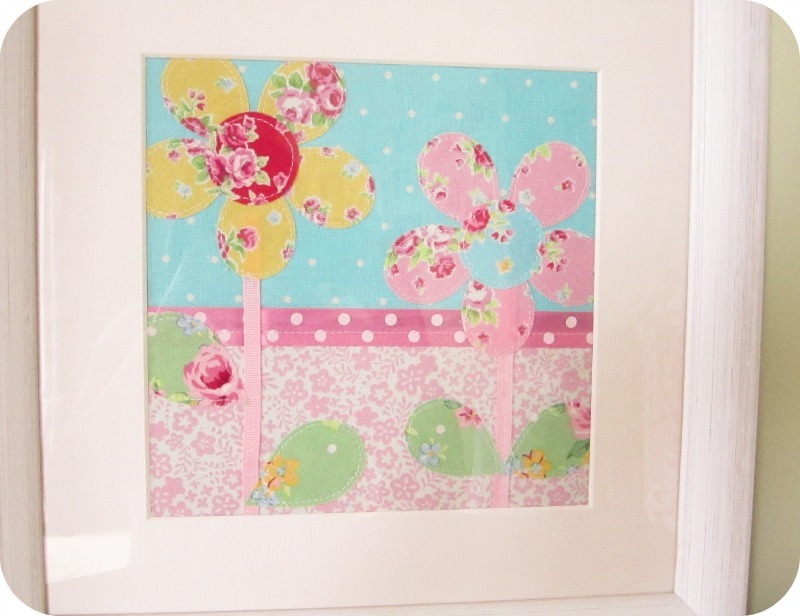 The little applique flower picture is so sweet! Thank you for this .. I will keep popping back for more inspirations!